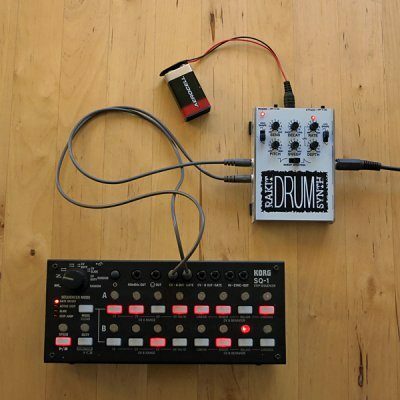 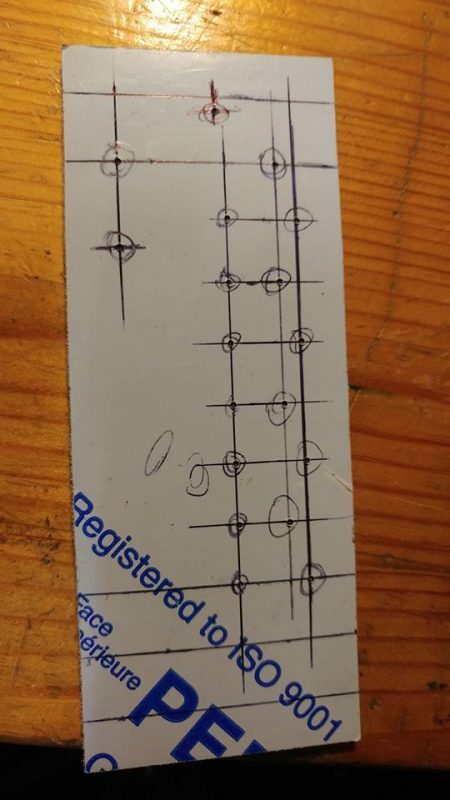 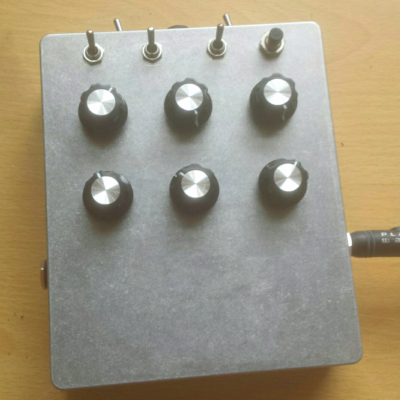 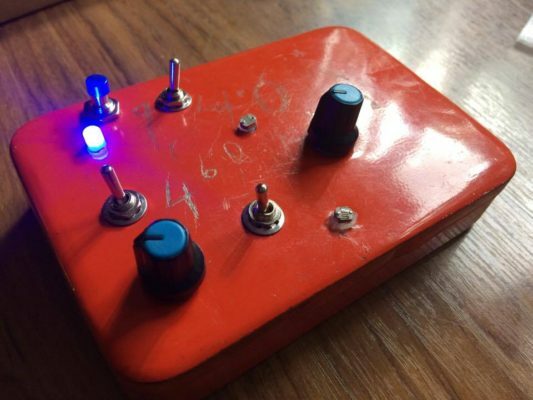 Dave (AKA ASP INNOVA) is on a mission to build his own modular synth from scratch and (rather expertly we think!) 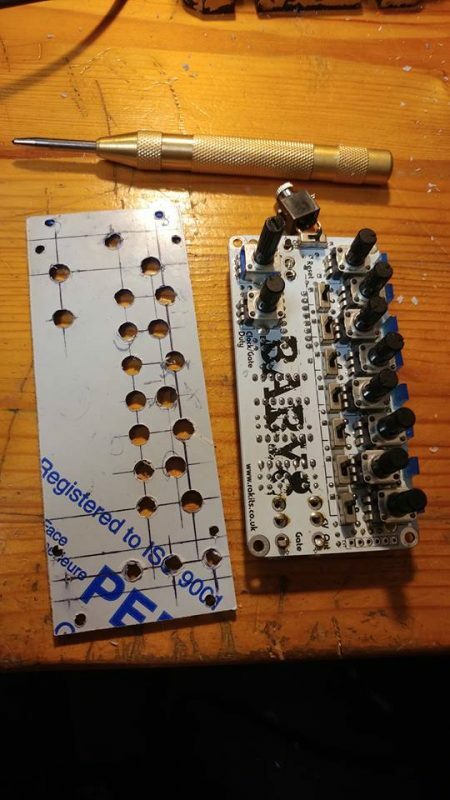 converted the Rakit Baby8 into his own Eurorack module. 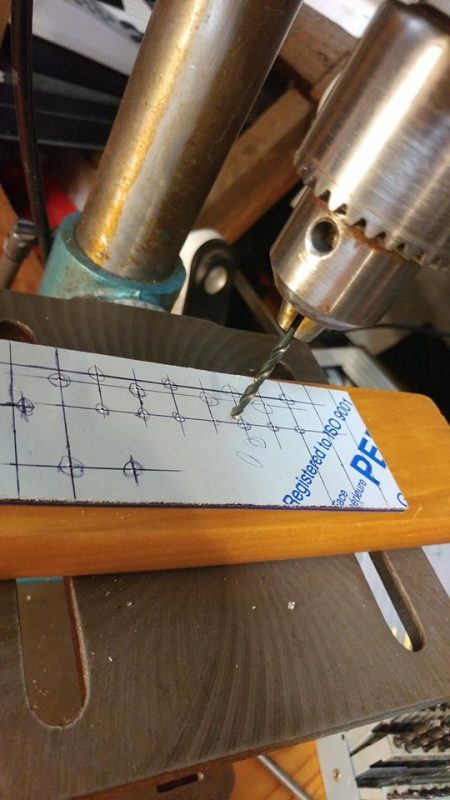 Dave marked and drilled out the holes on his blue perspex panel using a regular bit for the pot holes and a countersunk bit for the switch holes. 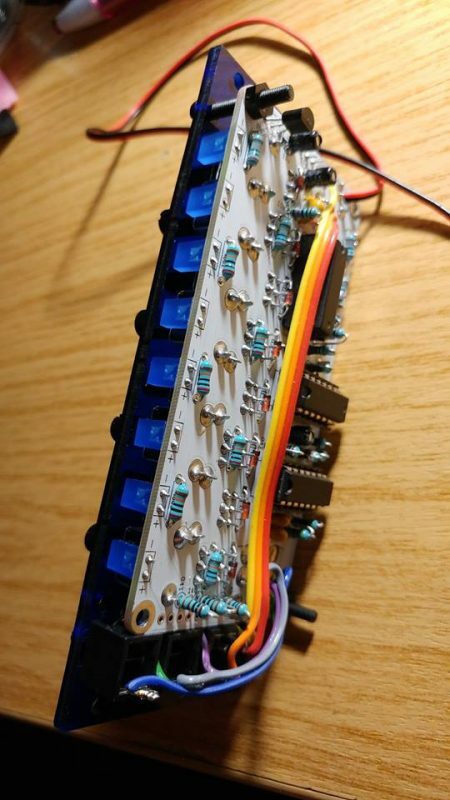 Dave has used his own panel mount jacks which he has connected to the PCB by soldering wires between the pads on the PCB and the corresponding pins on the jacks. 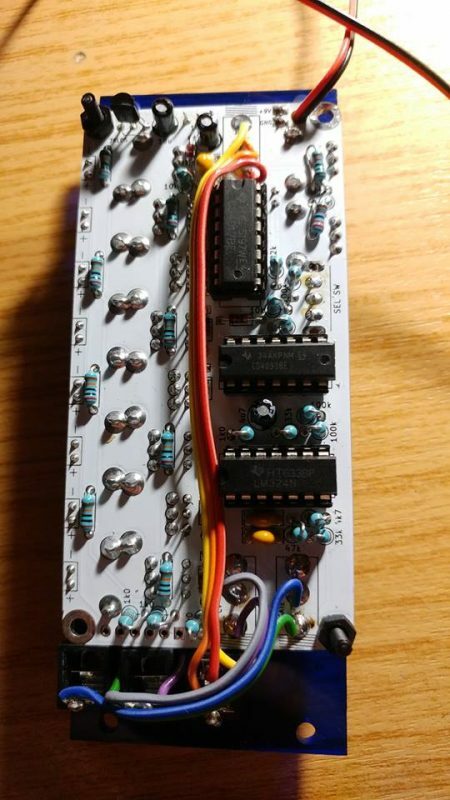 He has also done away with the battery power connector and replaced this with his own connector for plugging into the main bus board. 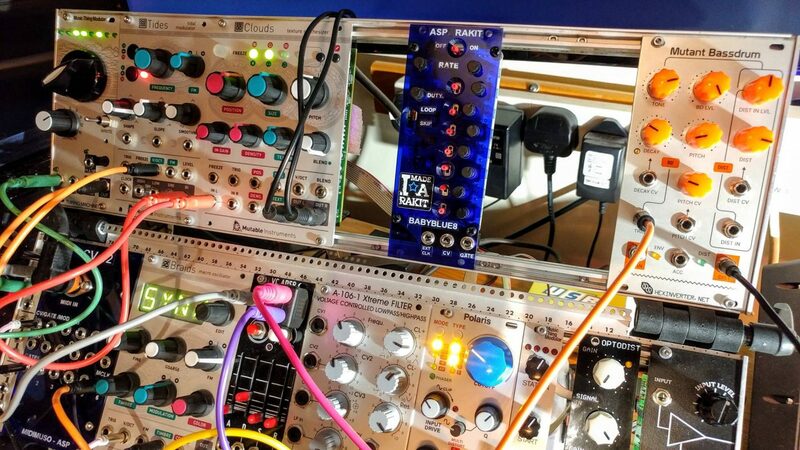 All done and looking great in Dave’s Eurorack! 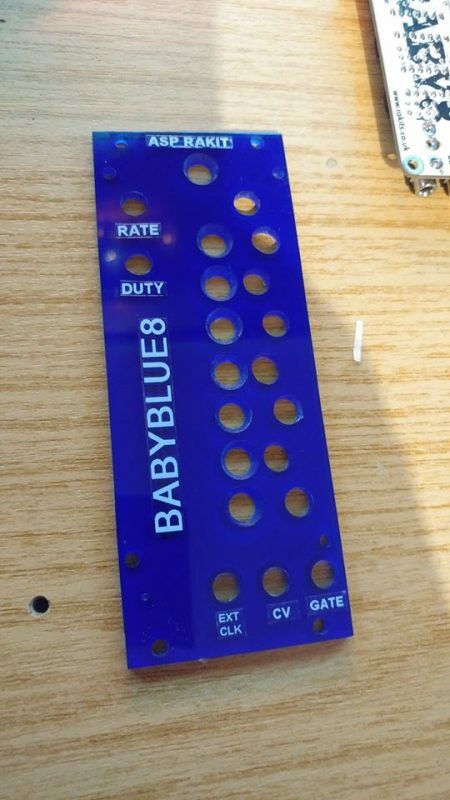 We love his idea to use pieces of a WD40 straw to extend the little switches…perhaps some longer switches are called for in the next baby8 revision!